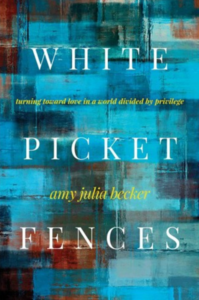 Barrett Bookstore will host an evening with White Picket Fences author Amy Julia Becker on Tuesday, Jan. 15 at 7 p.m. Becker will speak about and sign copies of her book. Amy Julia Becker welcomes us into her life, from the charm of her privileged southern childhood to her adult experience in the northeast, and the denials she has faced as the mother of a child with special needs. She shows how a life behind a white picket fence can restrict even as it protects and how it can prevent us from loving our neighbors well. Barrett Bookstore is located at 314 Heights Road in Darien, Conn.